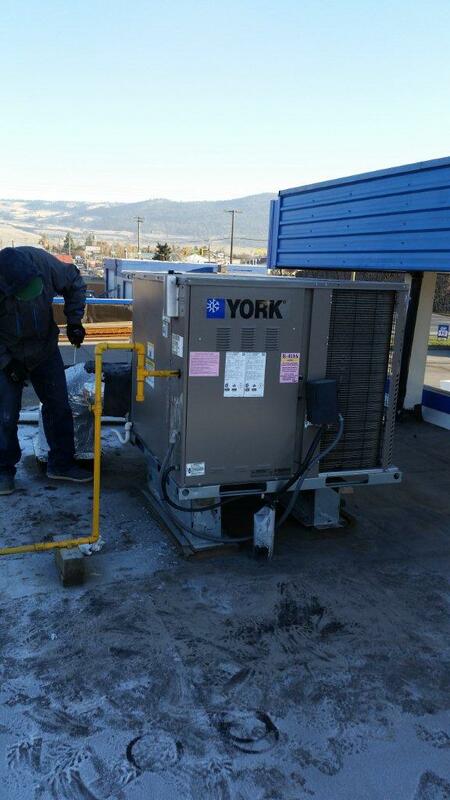 This was a commercial roof top AC unit that we changed out at Super Save Gas in Kelowna. The previous system was inefficient and didn’t have enough capacity for the existing space. We upgraded it to a new, more efficient York packaged unit, improving efficiency and ultimately saving on utility costs.